[This is another letter that was not originally included in "Letters to Michael" in my blog "The Discerning Angel". Again, the reasoning behind leaving it out was that most people just wouldn't be ready to read something like this. Of coure the reality of the situation was that I wasn't ready for others to read it... because I didn't myself fully understand what was going on at the time, or exactly how different life in 5D REALLY IS as compared with what we had experienced in 3D. Essentially what had happened was that the "physical body" of The Ashtar Sheran (remember it's a TITLE not a name) had "worn out" for lack of a better way to put it. In my habit of coming and going as I pleased aboard Michael's ship without asking or announcing myself, I walked in on his "wake", as it were... Our family and Loved ones and all sorts of dignitaries were gathered in a small room around his lifeless body, which had been laid out on a platform for viewing. While there is no real grieving process that takes place there - because there really is no such thing as "death" the way that people in 3D understand it, still they pay homage to and show reverence for the body for having carried the Soul through all of its expoeriences while the body was in service to it. When it is decided that a "new physical vessel" (or body) is needed, the person requiring the new body, simply lies down in their old body and the Soul essentially "steps" out of it and into a new body which has been prepared for it and is usually waiting nearby. And I happened to walk in on the tail-end of that at this particular time. I miss you now more than ever!! What am I supposed to do now??? I know you said that this is part of how it was all planned, but I cannot help feeling sad at losing a “part” of you. So beautiful, and now gone. My poor sweet daughter Jennifer. What she must be going through. I want so to be there for her, but can’t. I know that she understands the significance and the necessity of this “transformation” in the “hierarchy” but it doesn’t make it any easier. The loss of a commander is never easy to bear, much less the loss of a “parent”. I know, My Love that you are still there, waiting patiently for my return. I cannot even begin to guess how it will be now. I had so hoped to meet your essence that was a part of the Ashtar Sheran. I loved him so as the embodiment of you! So good and so revered by all who interacted with him. I don’t want him to be gone!! My heart weeps inconsolably at his loss…. I am terrified at the thought of taking his place. Please Michael, help me through this. I feel now almost as if I will never see you or be with you. I know this is far from the truth, and I know I’ve always been way too fixated on the physical body. This is but another testimony to that. My patience was thin before but now it is practically nonexistent. I just want this to all be under way. There is so much to think about – so much to prepare for, at times I think I must be insane for thinking any of this at all. At times I know that is was what was meant to be all along. They kept telling me “you are the One” and I had no idea to what they referred. I really don’t want this, but I know that I must accept this assignment. I am frightened beyond words even though I understand what I must do. My mind is screaming, though I know I cannot ask “why”? I gave up that part of my free will long ago when I entered into this contract, didn’t I?... Please guide me my Beautiful Love, my Precious Prince, my Twin Flame. I am feeling so lost at the moment. And you say that a transport will come for me in the next day or two, perhaps longer? While I find it comforting that some uncomfortable tasks I had set before me will not have time to be completed, and I am grateful that my son has “seen the light”, I worry for Chris, who has yet to understand or be convinced. What will he do if I have to take my leave suddenly? Also what will my son do – he’s not ready yet to be on his own with this! I promised him just last night – prematurely it would seem – that I would be with him through the whole transitional process! Now I know it will seem to him that I lied. I just can’t live with that!!! Is it to be that the dream I had where he came to me as a young man, looking much as he does today, and told me “I hate you! !” emphatically, will really come true???? I have dreaded that, and done everything, I thought, in my power to avoid that whole scenario, and now it seems as if it may come to pass after all. Couldn’t I just simply bring them both with me? Wouldn’t there be somehow, somewhere they could both be useful? I knew that things were “quickening”, but how could I have known they would quicken so quickly? I feel so totally unprepared for this, and at the same time supremely intrigued. I can tell that my request for help understanding and accepting is already being met. You are so amazing to me! Only one of the reasons why I love you so… Just now, I heard you “whisper” in my ear (my ears were ringing anyway), and suddenly all my anxiety started to diminish. You are here with me now; always have been. And even though there is no body for me to come home to now, as I ascend into the 5th dimension, my own body will become much like your own – pure energy, able to morph at will into any form needed. And when I see you for the first time in such a long, long time, I will be able to reach out and touch your face that I see before me, with my hand, and it will be as if we had never parted at all so long ago. I had questions for you about the health of my body… it has not finished regenerating… but I guess that does not matter anymore. All will be answered and addressed when I arrive. Will you be there to greet me? 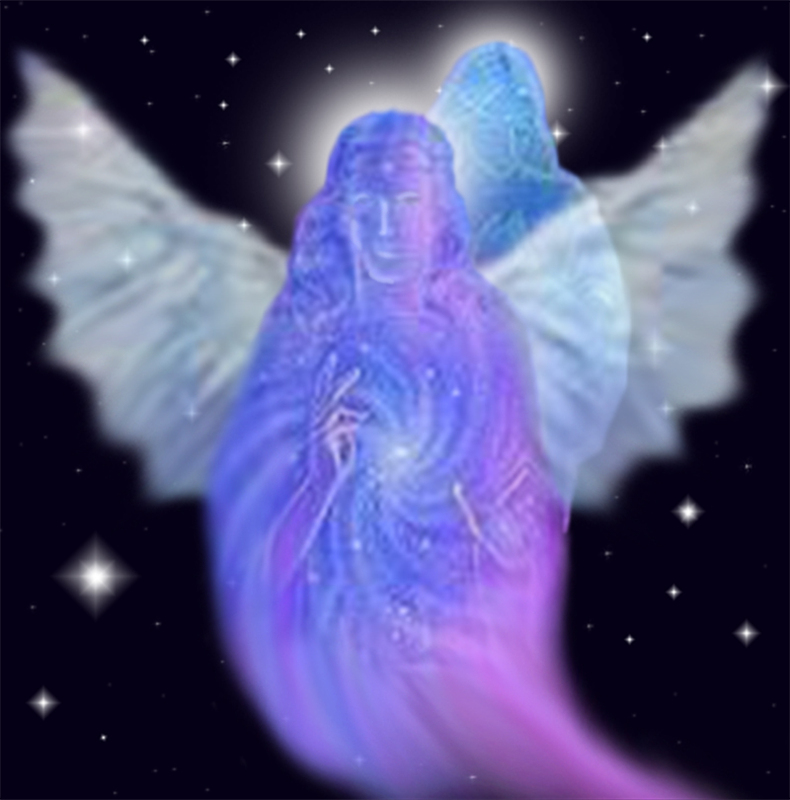 As yourself – as Archangel Michael?? Or will I arrive greeted only by an emissary? I am so nervous about all of this even with your reassurance, which I must admit since the phone rang just a minute ago has pretty much been dashed and is now as nonexistent as it was before I started typing this. I don’t want to be alone with those I’ve never met and don’t know. And though I know that ultimately, it will be as if I’d always known them, in my current human state I feel unsure and afraid of what is to come, what they will expect of me at the outset and how I am to behave. What if I make mistakes? What if I end up embarrassing myself unwittingly? What if, what if, what if???? I could probably come up with a thousand what ifs! I am so scared, and I need your Divine Guidance. I would ask a favor of you: that you help me in asking God to make me aware of all that I know, so that I can take on this task uniformly and responsibly, that I make no errs in judgment – this station is so high, so holy and so monumentally important to so many. And if I have been so inclined, as I have so many times in the past, to have misinterpreted what you told me just a little while ago, would you please set me straight? Let me know that it’s going to be okay no matter what the reality of the situation is? I Love You So Deeply In God’s Eternal Light Michael – may we always together draw our Love and Inspiration Directly From His Loving Heart!